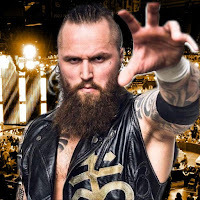 Aleister Black is currently out of action after undergoing surgery, according to F4Wonline. Black was reportedly injured at Saturday's WWE NXT live event in Las Vegas after being crotched by NXT Champion Tommaso Ciampa. Ciampa defeated Black to retain his title in that match, which was the main event of the show. It was noted that Black will be OK but the situation was described as "quite scary" when it happened. There's no word yet on when Black will be back in action but he could miss the big "Takeover: Brooklyn IV" event on August 18 during WWE SummerSlam weekend. WWE has not confirmed the match but it was believed that Black would face Ciampa and Johnny Gargano in a Triple Threat for the title.